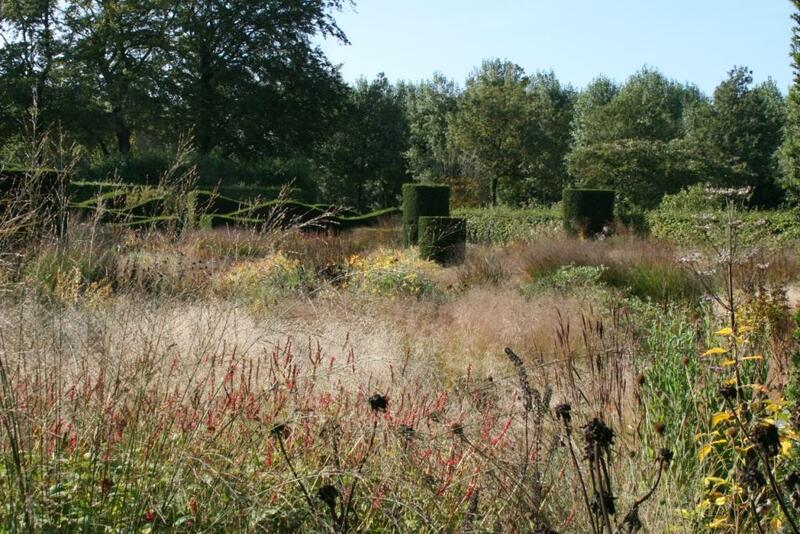 While we were in The Netherlands, John’s number one priority was to go see landscape designer Piet Oudolf’s garden. 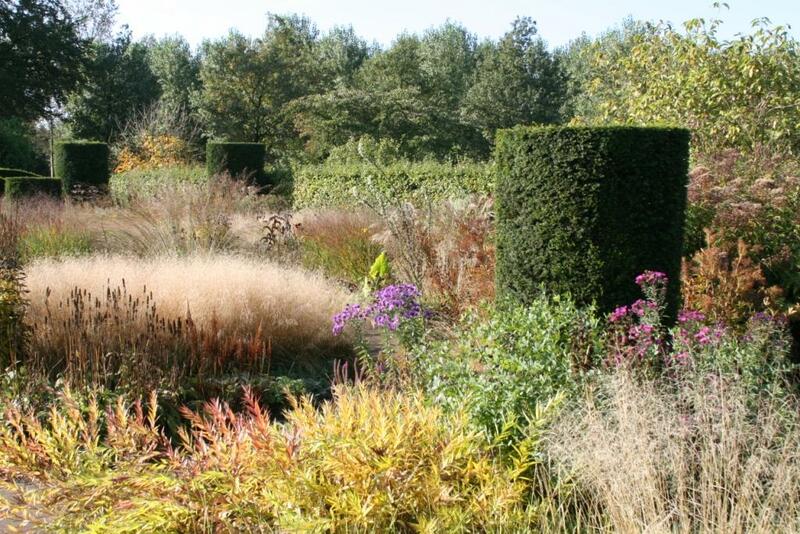 Oudolf is the world master of informal landscapes. 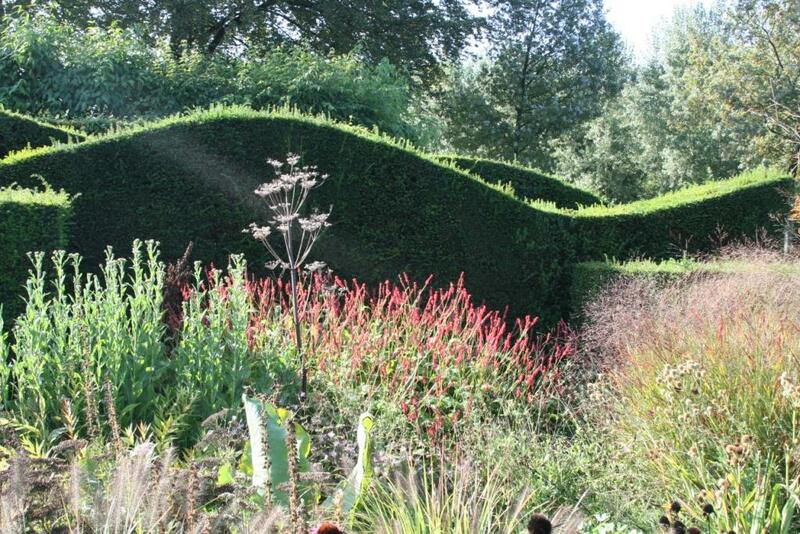 He uses lots of grasses against a backdrop of shaped hedges to provide structure to garden in any season. 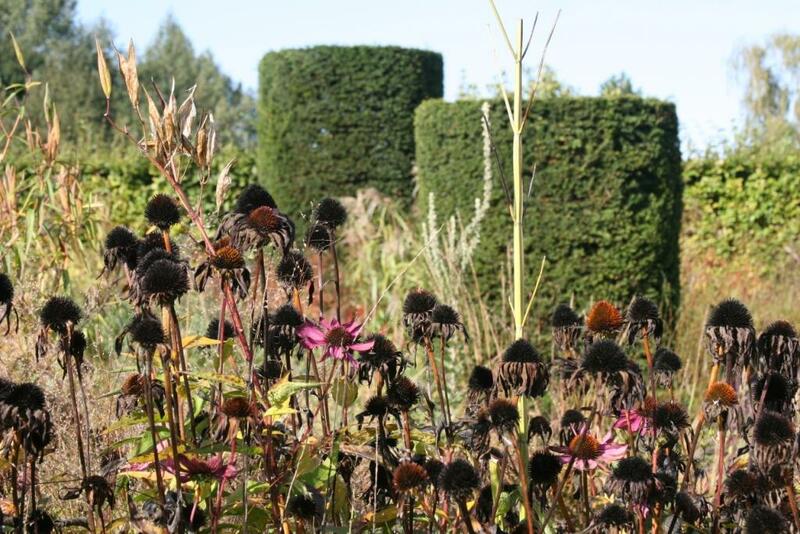 In early October with most plants past their seasonal prime the garden was beautiful with even the dying plants adding beautiful shape and color. Oudolf has also worked miracles at the Lurie Garden in Millenium Park in Chicago as well as the plantings on New York City’s High Line. Oudolf’s wife Anja runs a nursery on the property and made John’s day by spending time chatting with him. She was beautiful and friendly. John’s only disappointment was not being able to buy anything to take back to the US. 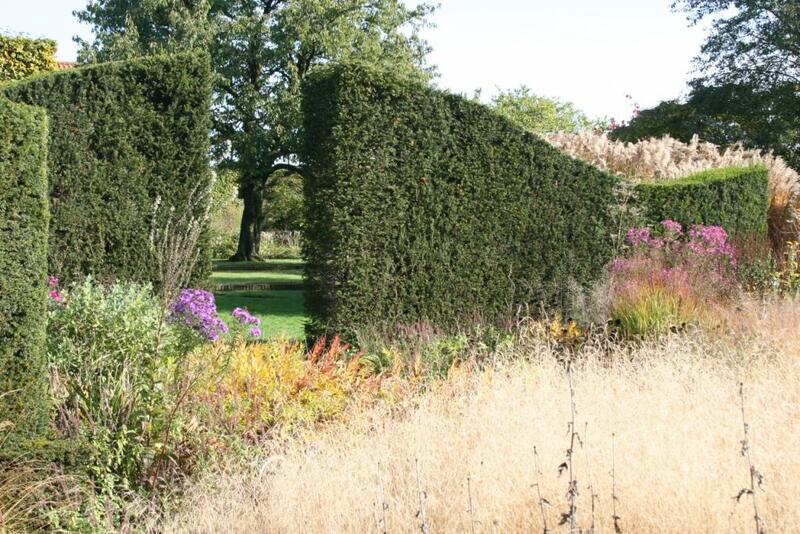 I am experiencing hedge envy right now. How commendable that you went completely off the beaten track. I have lived in the Netherlands all my life and I had not even heard of Hummelo! The gardens look wonderful, though. 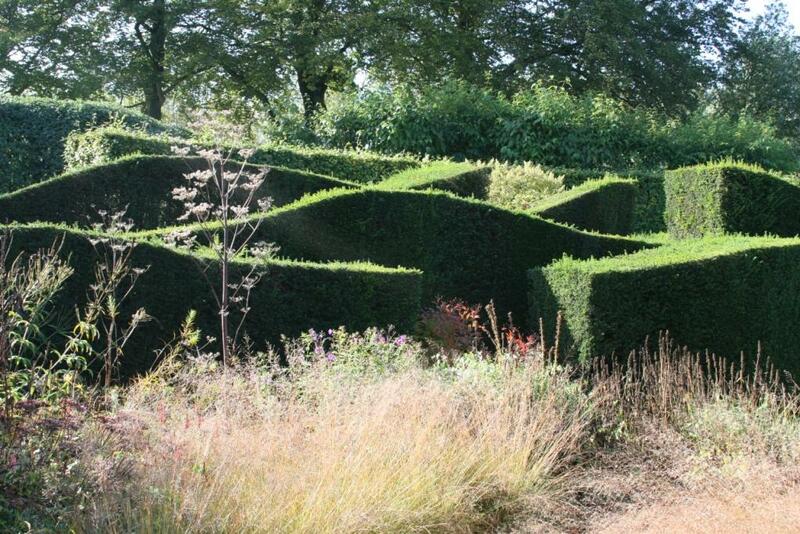 Ti: Hedge Envy, very cute. 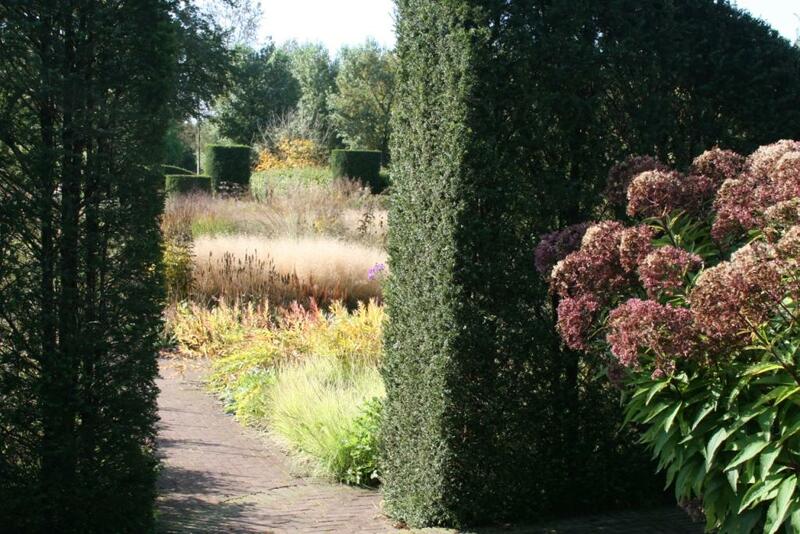 Anna: If it wasn't for Piet Oudolf's garden I am not sure we would have gone so far off the beaten path. 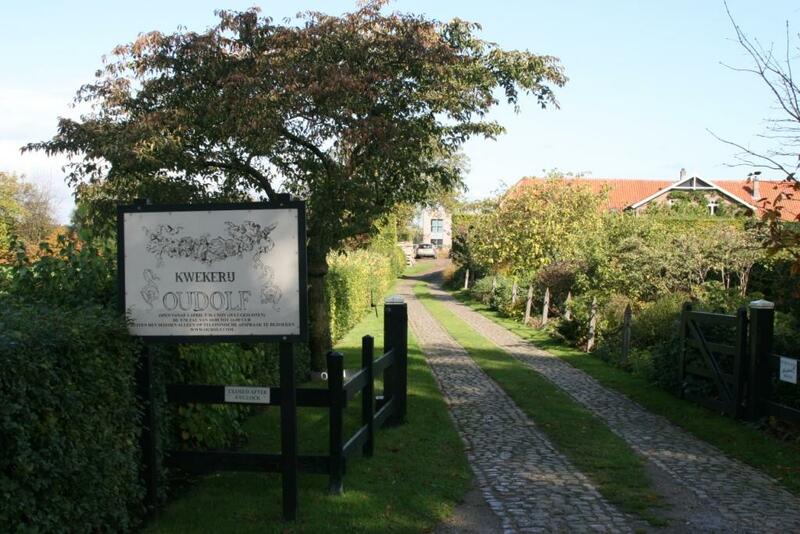 It was about 1.5 hours by car from where we were staying in Den Haag. Definitely gorgeous — looks like you had a lovely time! I could sit and stare out at gardens all day. Love the photos.